Thanks to this recipe fragrant eggplant with potatoes does not turn into porridge, each ingredient has its own distinct taste and color. 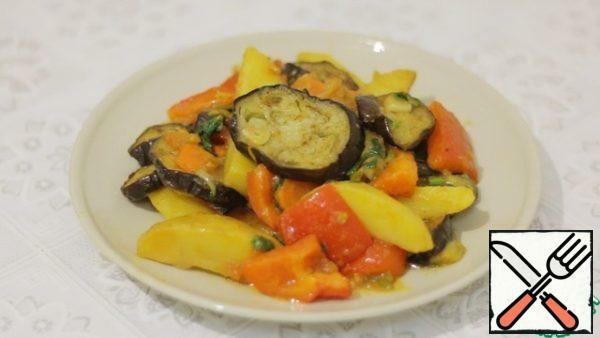 In vegetable oil fry the chopped eggplant. 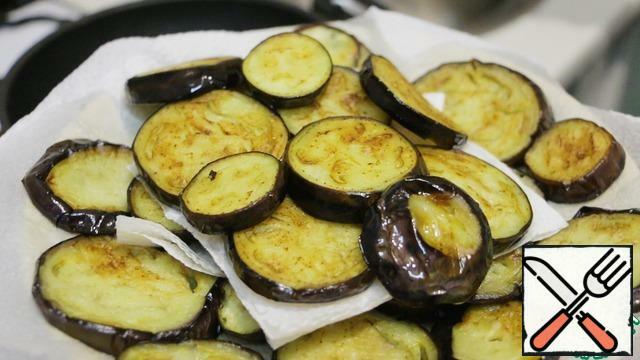 Soft and Golden pieces spread on a paper towel or napkin to remove excess oil, which absorbed the eggplant. 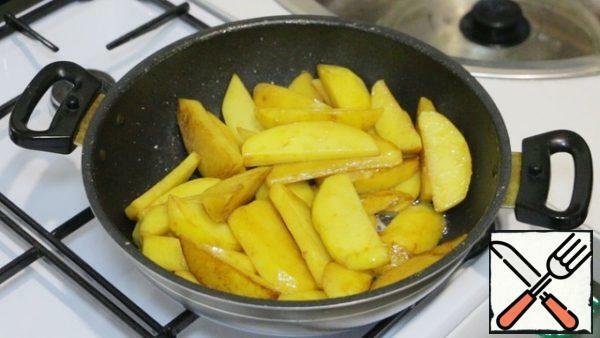 Then in the same oil fry large slices of potatoes under a closed lid. Stir occasionally and do not forget to add salt. 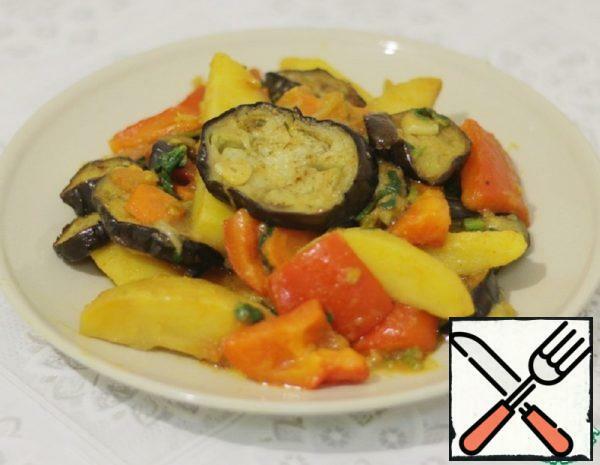 With a fork, check the readiness of potatoes. Ready potatoes spread on a separate plate. Chopped onion, carrots and bell pepper to be sent to stew for 20-30 minutes on low heat, and then add to it chopped tomatoes and leave with the lid closed for another 5-10 mins, not forgetting to stir. 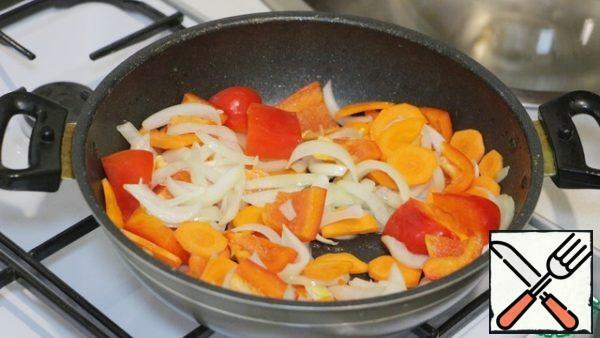 Gradually add all remaining ingredients to the stewed vegetables. 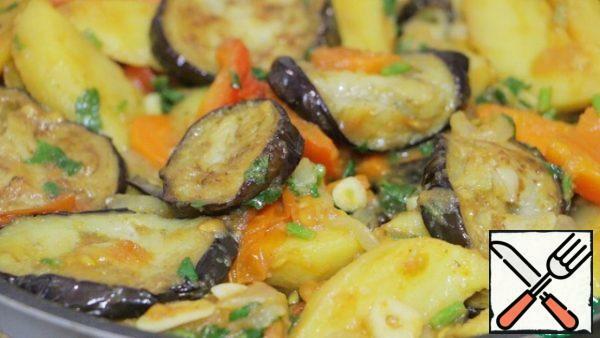 First of all, put the potatoes and gently mix everything, followed by a couple of minutes are garlic and cilantro, then all the seasonings and last of all add eggplant. Stir slowly and carefully so that the dish does not turn into porridge. Put out all together a couple of minutes and turn off the fire. Leave the dish a little more languish under the lid.